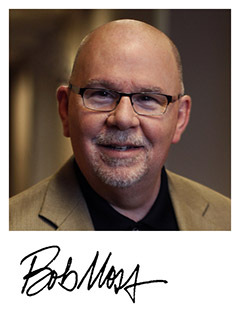 Bob Moss has again added lead pastor to the hats he wears in the Church of God, shepherding the flock at Hope Community Church in Niles, Michigan, while he continues his work as executive liaison for Project Imagine. But he’s also spent six years total in state and national Church of God offices and thirty-five in pastoral ministry. Over those years, it’s safe to say he’s experienced (endured?) more than a few board meetings. Indeed, he’s witnessed firsthand churches get lost in logistics, bogged down under the constant pressure of the next decision that must be made—or tabled for another day. 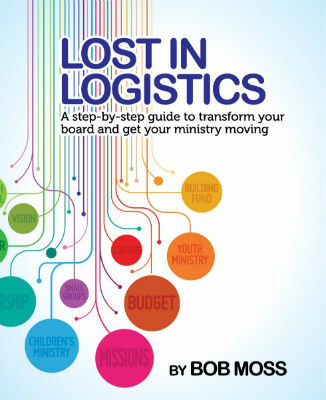 In his new book Lost in Logistics: A Step-by-Step Guide to Transform Your Board and Get Your Ministry Moving, Bob offers tested tools to help churches stop gridlock and jumpstart ministry. Board meetings don’t have to be bored meetings! Is your church board lost in logistics? In this new book, Bob gives a familiar illustration of the effect of board meetings on our busy culture. “Each month, dedicated men and women spent countless hours away from their homes and their families at a meeting table somewhere in the church. Sadly, they often return home fatigued, uninspired, and wondering why their effort seemed so pointless.” Too many can relate. Learn more about the book at https://www.warnerpress.org/blog/post/get-ministry-moving-again-with-lost-in-logistics. You can also ask to download the first chapter for free at https://warnerpress.lpages.co/lost-in-logistics/. Already convinced? Buy the paperback at https://www.warnerpress.org/lost-in-logistics-paperback.html or the e-book at https://www.warnerpress.org/lost-in-logistics-ebook.html. This entry was posted in All Church of God and tagged board meetings, Bob Moss, book, church governance, committee meetings, Lost in Logistics, Project Imagine, Warner Press. Bookmark the permalink.